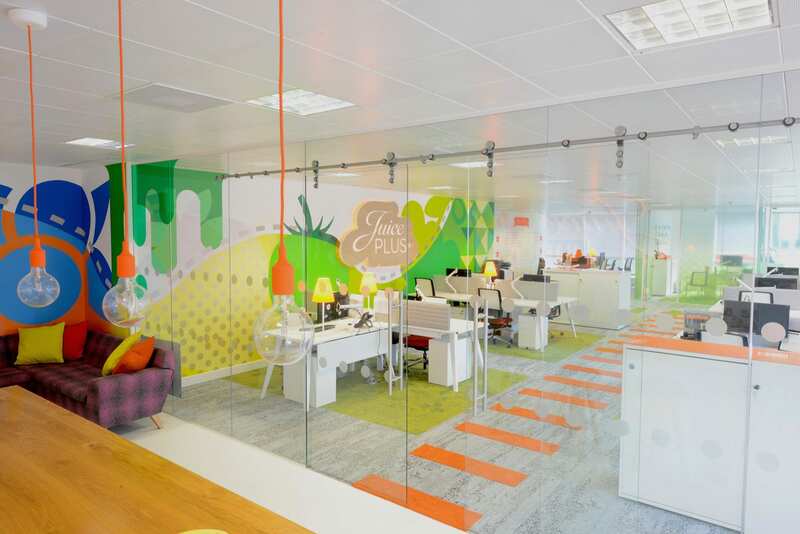 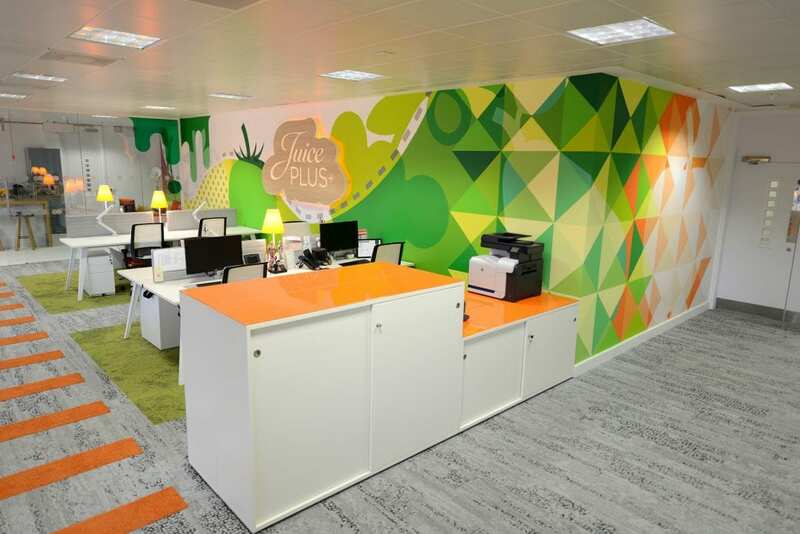 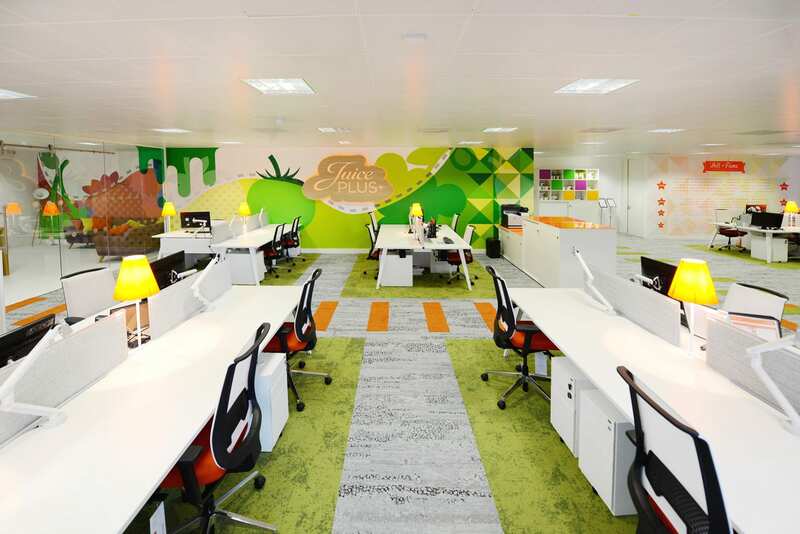 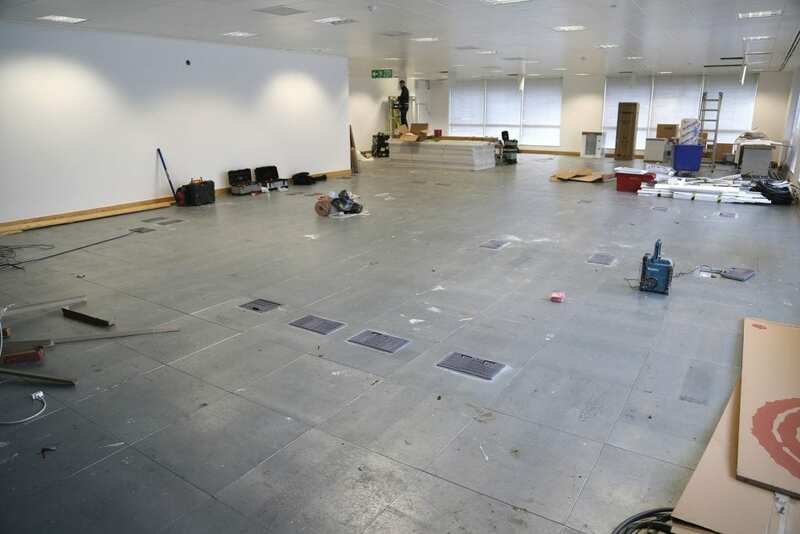 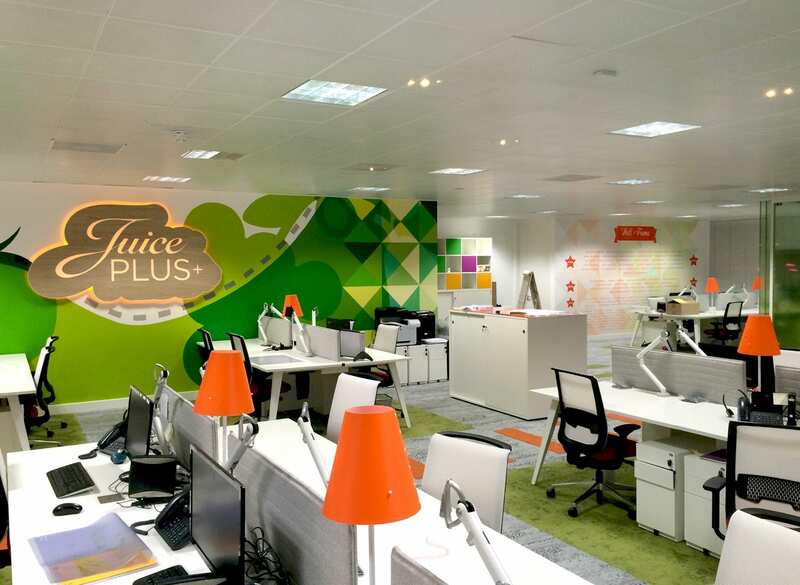 The US healthy living company Juice Plus+ commissioned Soulful Creative to design and create a vibrant and engaging interior for their new UK head office. 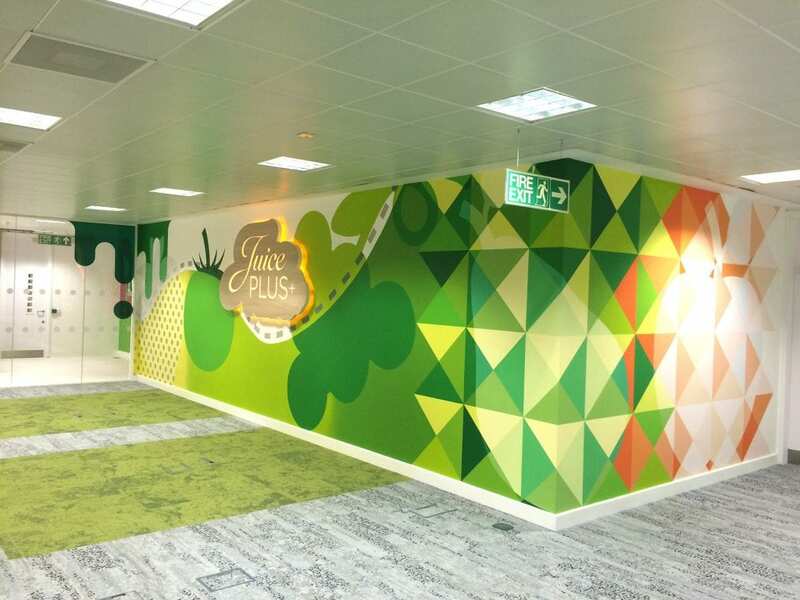 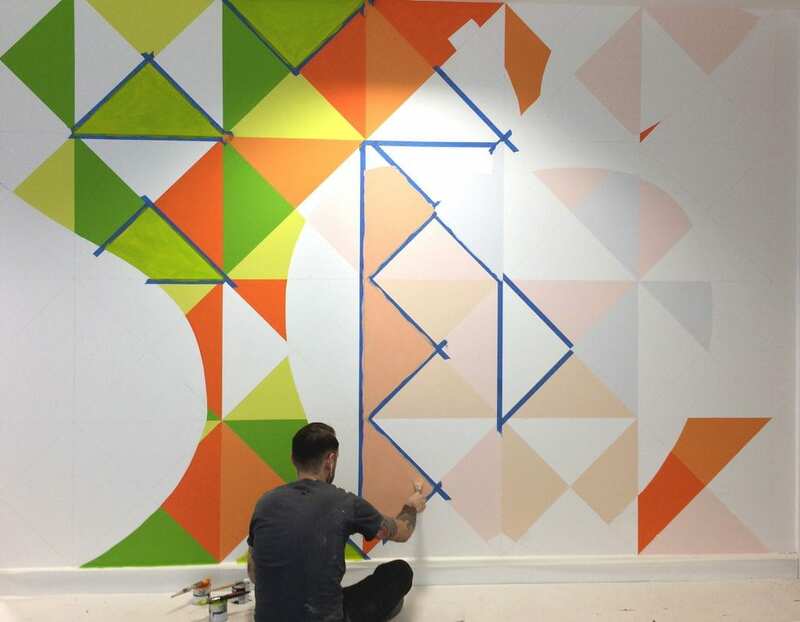 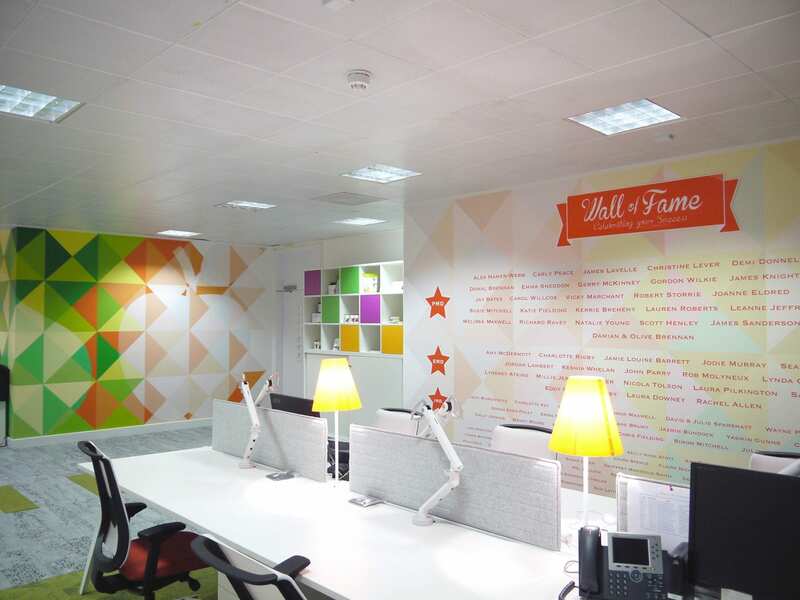 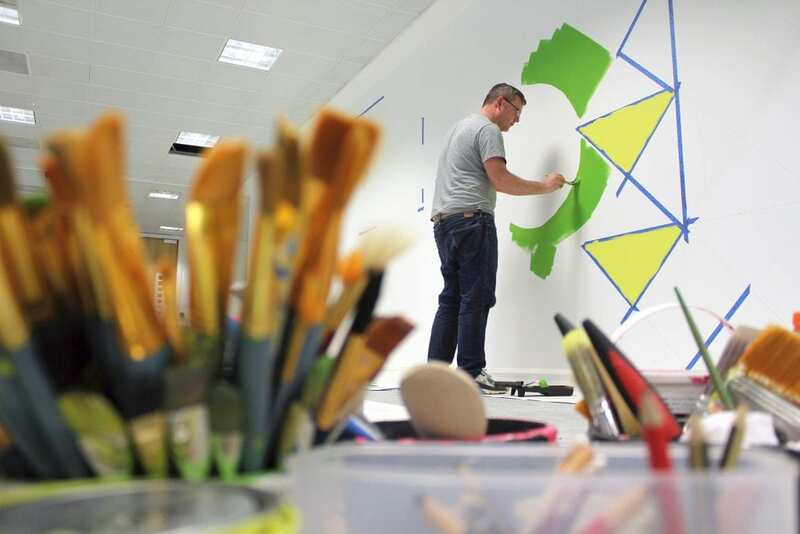 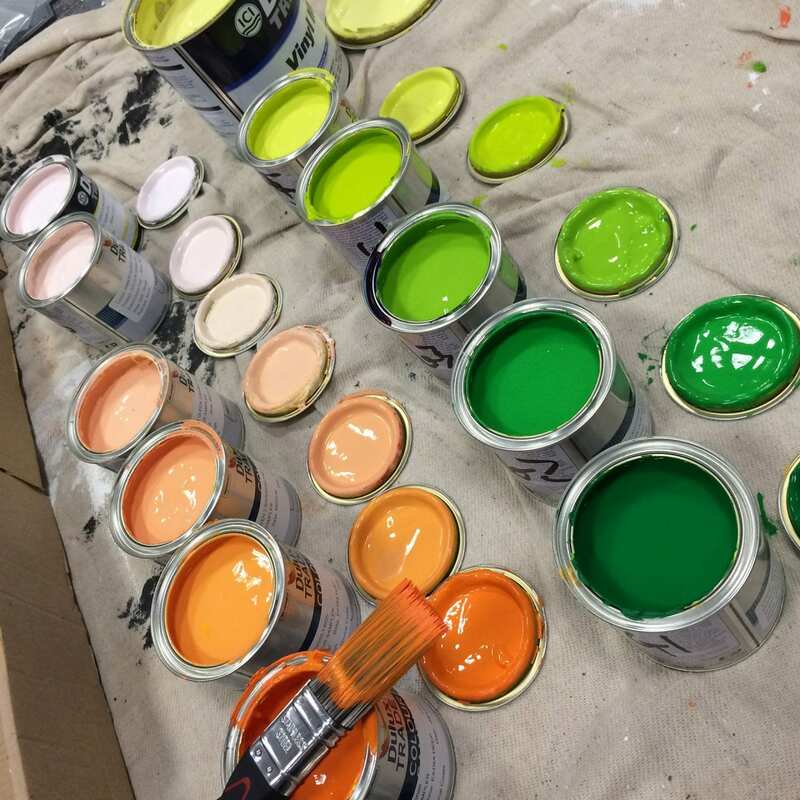 Working closely with their brand identity, we designed three feature wall murals which were hand-painted with additional vinyl graphics applied onto these and other key walls in the office. 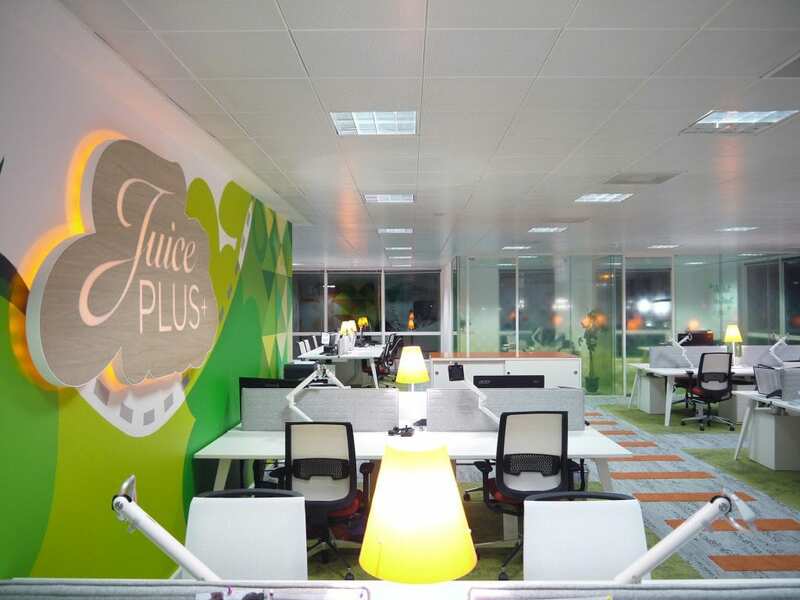 We also designed and produced a natural oak illuminated sign, which floats within the main wall. 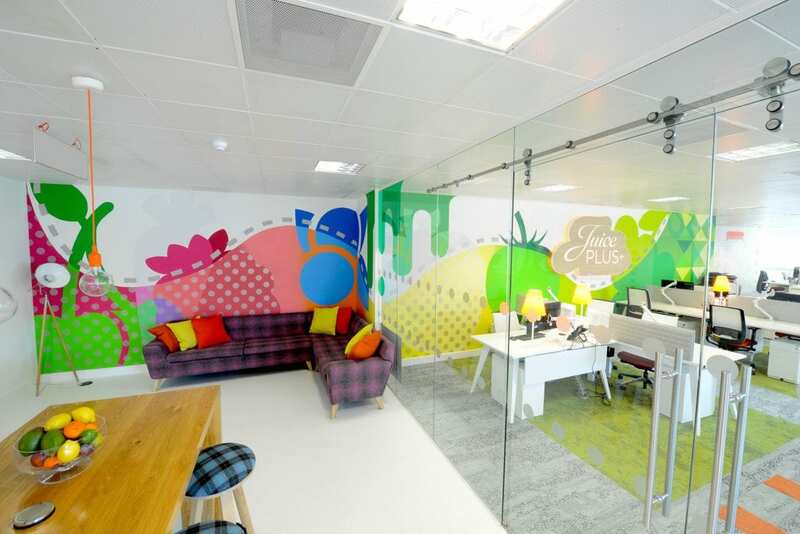 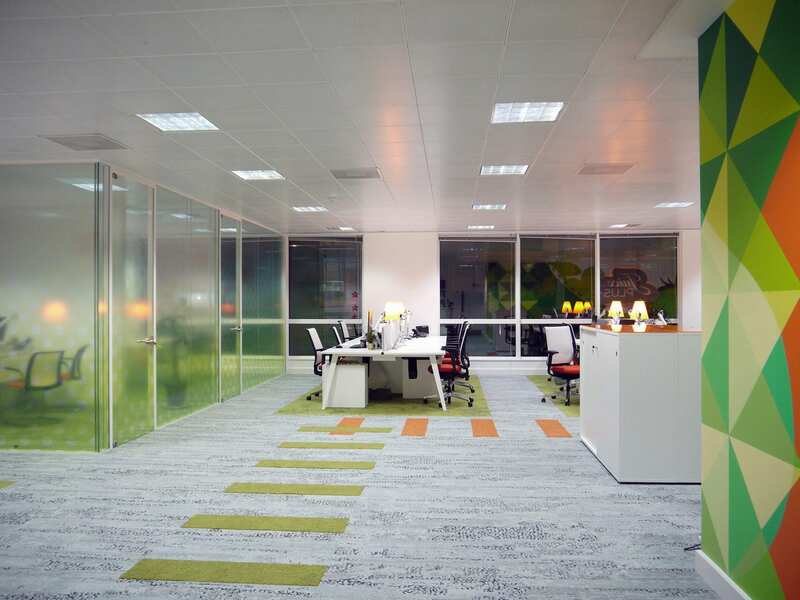 Graphic glass manifestations complete the look, with the finished result delivering a fresh and unique office interior that reflects the brand and company’s ethos.